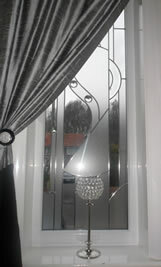 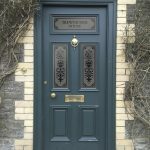 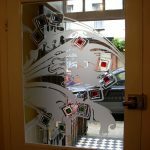 Jillian contacted us in early 2011 enquiring if we could somehow manage to create 3 feature window glass panels that would blend in with a new composite door that she had just ordered from a local door supplier. 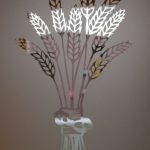 We asked Jillian to email over the image so we could take a look at the design to see if we could come up with some good ideas. 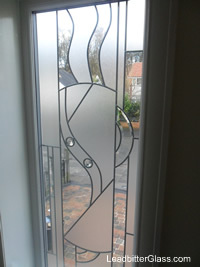 Once the image arrived we recognised it straight away as we have been asked to match this design many times over the last few years. 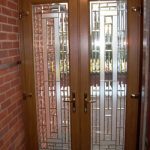 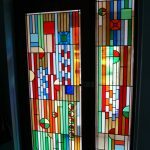 The materials used in the original door glass were only supplied in China but we managed to locate some really good substitutes and got about designing various options for Jillian to choose from. 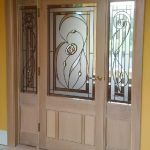 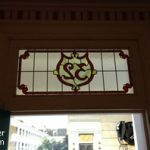 If you take a look at Jillians Client Page you will see that we went that extra mile to ensure that she was totally happy with how the glass Leaded glass Feature windowwas going to look. 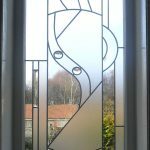 We started with Option A and B at the bottom of the page and altered sections of the design over the next few days until Jillian was 100% happy with the finished article. 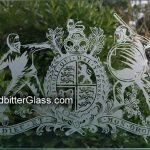 The bespoke decorative glass panels were created using toughened glass and they were then sealed into double glazed Pilkington K energy saving units once finished. 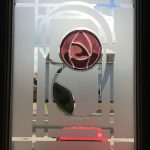 We used numerous shaped glass bevels throughout each window along with a frosted obscure texture number 756 from this page throughout the design. 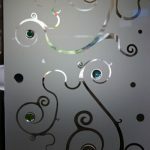 The small circle bevels were bevelled jewels and these beautiful pieces are shaped to create over 30 bevelled facets to the surface giving off a diamond like appearance that glitters in the sunlight. 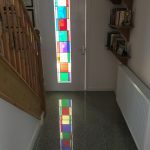 Some of the areas of the glass panels were left clear and this helped to create a window that was private but at the same time allowed the home owner to view into their drive at any level. 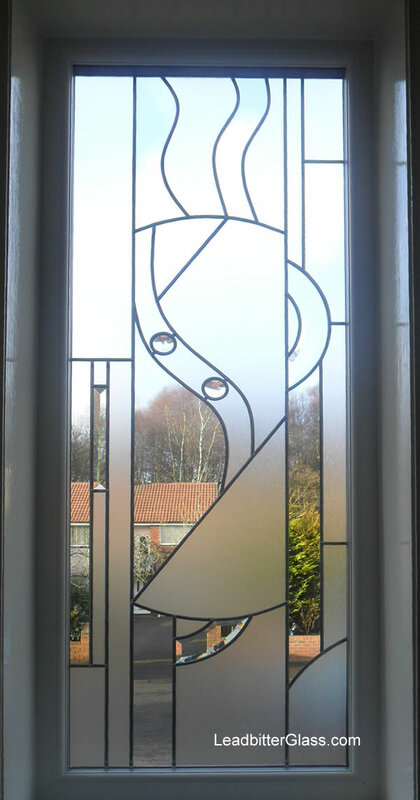 Below is a larger close up photo of the largest feature window and in the lower half of the photo you can see what effect was achieved and this appearance made up the over all look of the 3 bevelled glass windows.